If you want to be a TV writer, you need to write a spec script — that’s your own personal episode of a popular TV show. The episode takes place a few days after the September 11 terrorist attacks on New York City. This is what you’d call an “off book” idea for two reasons. First, the show has not been on the air since 1998, which means writing a spec script of it might — in some circles — seem out of date. 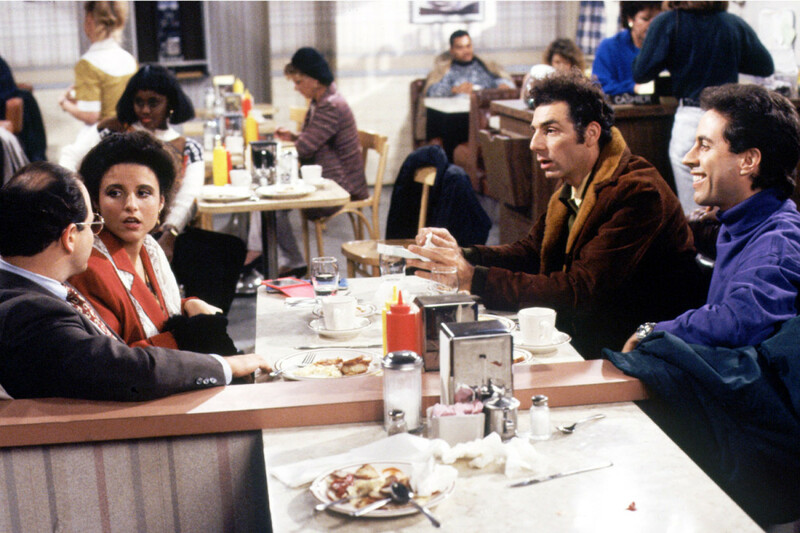 And two, the show’s characters, Jerry, George, Elaine and Kramer, never lived to see the attacks because of the end date of their show, giving Domineau no clue how the show’s writers would have handled the tragedy. But that didn’t stop him. On August 2, he uploaded his script onto Google Drive then mentioned it on Twitter and Facebook. Within just it 24 hours, it had gone viral and now he has a literary agent. Here are five lessons we can all learn from his experience. Never heard the term “stunt spec?” It’s when a writer specs an iconic show that’s most likely off the air and approaches it with a high concept or possibly controversial situation. “A stunt spec is truly meant to stand out and have some element of shock value,” said Domineau in an interview with ScreenwritingU. Previous stunt specs by other writers include an I Love Lucy episode where Lucy gets an abortion and a Friends episode where all the characters get AIDS. Edgy stuff, but it’s easy to see how these specs may be entertaining to that overworked reader who’s read three-hundred The Big Bang Theory specs. The “stunt” Domineau pulled off is having the Seinfeld characters respond to the real-life tragedy of 9/11 using their own comedic points of view. There are definitely moments in “The Twin Towers” spec that are disturbing, like when Jerry is hesitant to eat a sandwich because of all the tower-and-possibly-human dust on it. But many moments are also very funny and feel tonally right for the show. If you’re thinking this idea was “too soon,” you’re not alone, but Domineau insists the feedback he got was overwhelmingly positive. “In general, the internet as a capital ‘I’ community, has been very positive in their response. I haven’t had too many trolls come after me. I’ve even heard from people who have a direct relationship to September 11, whether they be first responders or people who lost their best friends. Out of about 10 responses, eight or nine have been wholly positive, which I’ve been very thankful for. They understand that I’m not trying to make light of this event in a way that diminishes the sacrifices the people made that day or the loss people feel,” he said. He also added that a man who lost a friend in the towers reached out to say that if his friend survived, he’d be the first person to make 9/11 jokes and would have enjoyed the script a lot. Remember, agents, managers and show runners read a lot of specs. Finding one that’s out of the ordinary, that takes a risk, can get you noticed. Of course some people really did have strong negative feelings about Domineau’s script, but he says he respects their opinions. “I, in no way, judge them for that response. They have every right to feel anyway they want to and any of the people who are offended by it are welcome to rant at me on Twitter, or I’ll come to their house and let them yell at me until their blue in the face because I realize this script has the potential to bring up some of the darkest emotions for some people,” he said. Domineau captured the voice of each character remarkably well. “I wasn’t trying to go for a parody or stunt angle on the execution. Once I had the concept, it was about how would Seinfeld tackle it, how would they keep it ‘in voice,’” he said. But it was through his concept of setting it days after this national tragedy that he was able to add his own slant. “You have to go beyond the mimicry, you have to add your own voice as well.” He demonstrated his ability to mine the humor in very dark subject matter. Not all writers are able to do this. Though he initially only shared his spec with writer friends on Facebook, he ended up tweeting about it as well. People love Seinfeld and even folks not in the industry couldn’t resist reading the spec. His initial tweet was retweeted over a thousand times and made the first page of Reddit after just a day. The best news is that Domineau now has representation so hopefully that staff writing job is just a few tweets away. We’d love to hear your ideas on shows that could be specced in this way. Send us your thoughts! 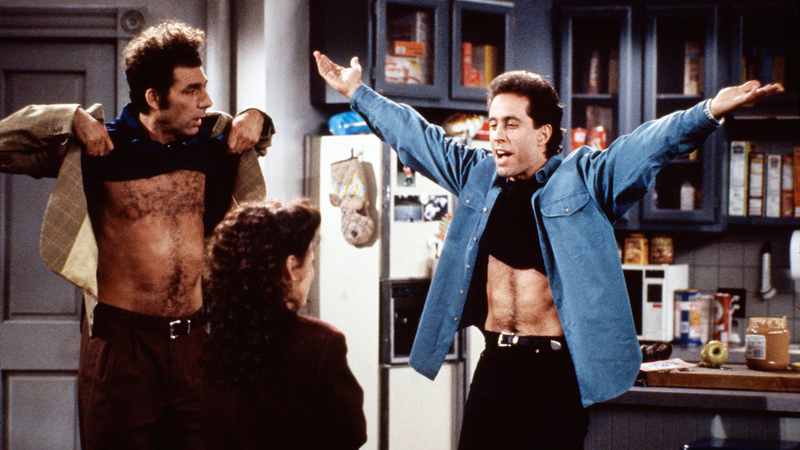 If you’d like to read “The Twin Towers” Seinfeld spec, click here. 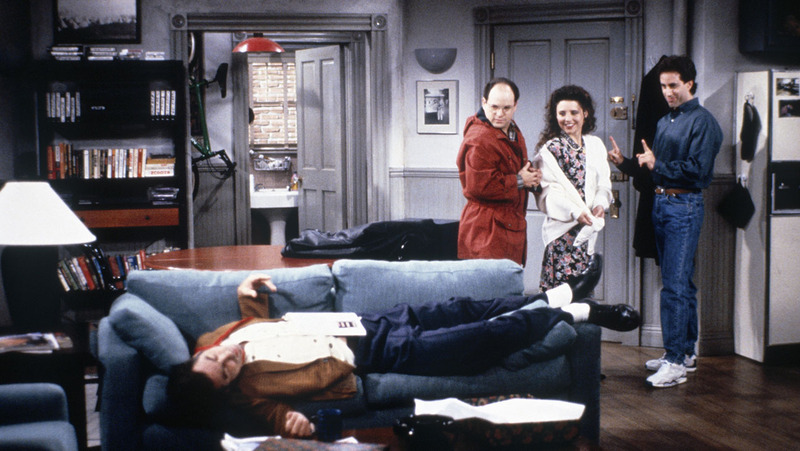 4 Replies to "5 things to learn from the Seinfeld TV spec script that went viral"
Fascinating. Though I’m not much interested in writing TV scripts, my spec script is a “stunt script” (which I’d never heard of until right now) for “Gunsmoke”. It would have been the very last episode (figuratively and literally), involving a retired cowhand falling in love with Festus, and the consequences thereof. This script is perfect. Tough material to work with, but he nailed the voice, the characters, the subversive humor… it’s perfect. If I were to do anything I’d probably do a Battlestar Galactica (newer one) where an alien species becomes a common enemy for both human and cylon, but at the end they’re back at each other’s throats. Or, possibly Mad Men where the men, as a bet, let the women take the reins of the company for a month because they think they’re incapable, and they do so much better than the men, but ultimately Joan and the others have to give control back. Or how about The West Wing where Bartlett goes off-grid to personally kill someone to save his wife and daughter. Or Ren and Stimpy where Stimpy gets some sort of brain juice and realizes how terrible Ren treats him and kills him. Only it isn’t Ren, but his twin brother. I could go on forever. Clearly this talentless tool is not a New Yorker and must hate “Seinfeld”. 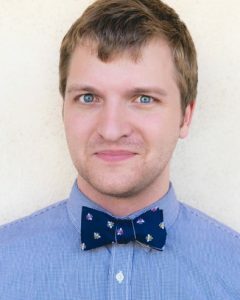 Whomever told him that jokes about cutting stewardesses throats with box cutters or inhaling human dust would be funny was clearly looking to sabotage this losers career before it ever got off the ground. Tell ya what Billy Domineau, stick to cracking jokes and farts at your family funerals and prepare to spend alot more time living in mom’s basement. New Yorker and enormous Seinfeld fan here, as are all my friends and family. We all loved the script. It was hilarious, captured the spirit of the show and characters’ voices perfectly. Also this script landed Billy a job writing for Family Guy. So Notta Victim, maybe you just have no comedic taste.